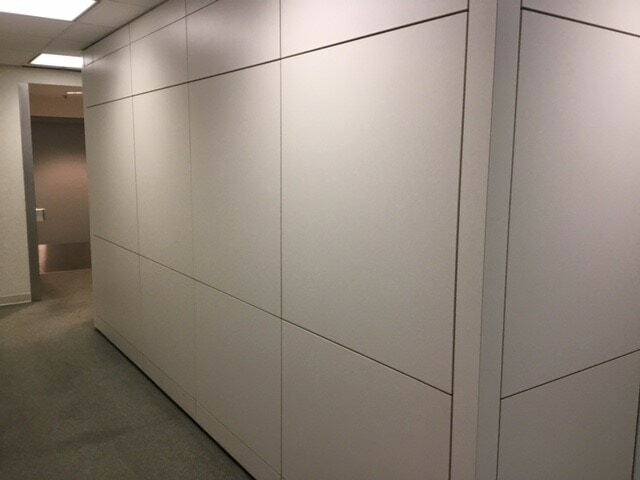 Teknion Altos modular wall system with 2000 linear feet available. 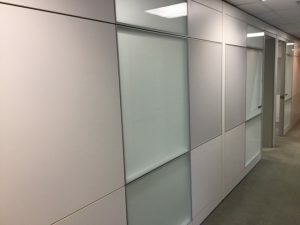 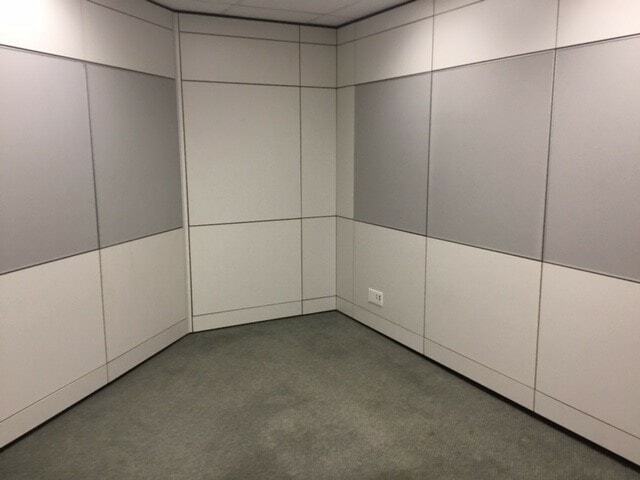 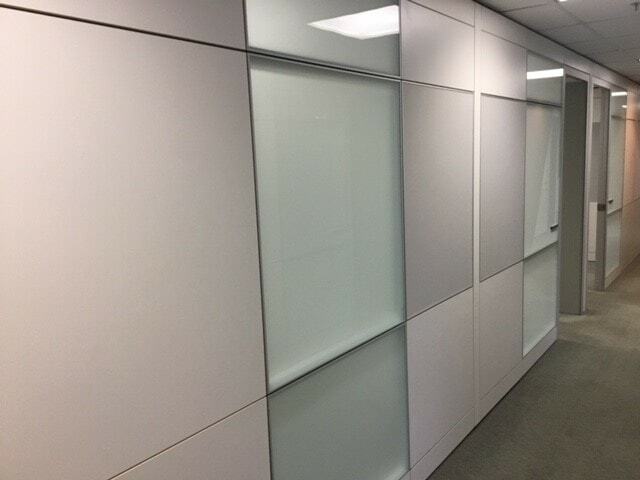 These walls can be used to divide office spaces with clean white clad walls and grey doors. 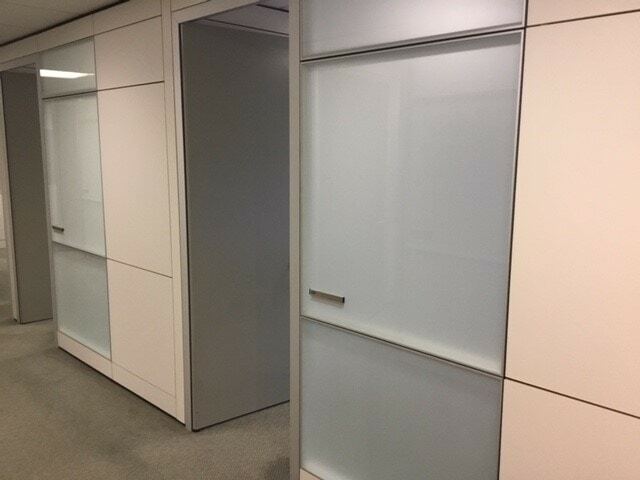 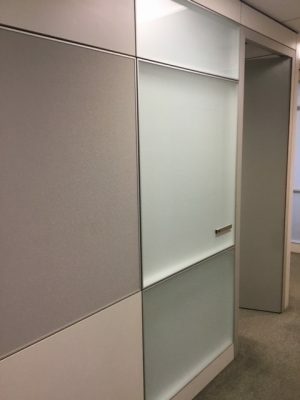 Comes with frosted glass tiles, tack-boards, whiteboards, wood laminate pivot and glass sliding doors. 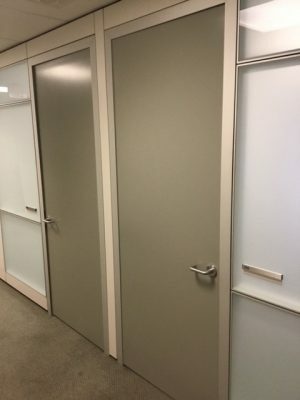 Re-laminate or finish doors to any color. 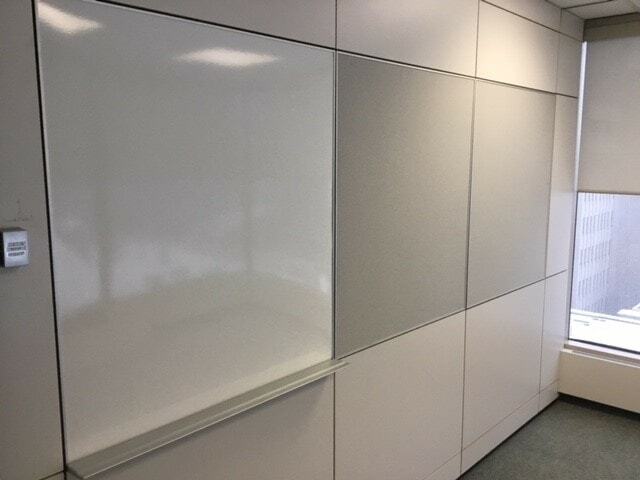 A highly versatile and reliable modular wall system on the market available for half the price as new.